Successfully Added HOMTOM HT5 Smartphone - 5 Inch HD Screen, 4250mAh Battery, 4G, Android 5.1, 64bit MTK6735 CPU (Apricot) to your Shopping Cart. The HOMTOM H5 is as beautiful as it is functional. Featuring a stunning black apricot wood back cover, it’s a great choice for those who appreciate great design and practicality. One of the many advantages of the HOMTOM H5 is its huge 4250mAh battery, letting you use the phone continuously for up to 60 hours and offering standby time of up to 7 days. No more stressing about your phone running out of battery at the worst possible moment. The 64 bit Quad Core processor drives smooth and fast operation of the device with no freezing or lagging. You can make full use of the phone’s 4G (B1/B3/B7/B20) connectivity with two SIM card slots, while being able to efficiently separate your business and social phone accounts. 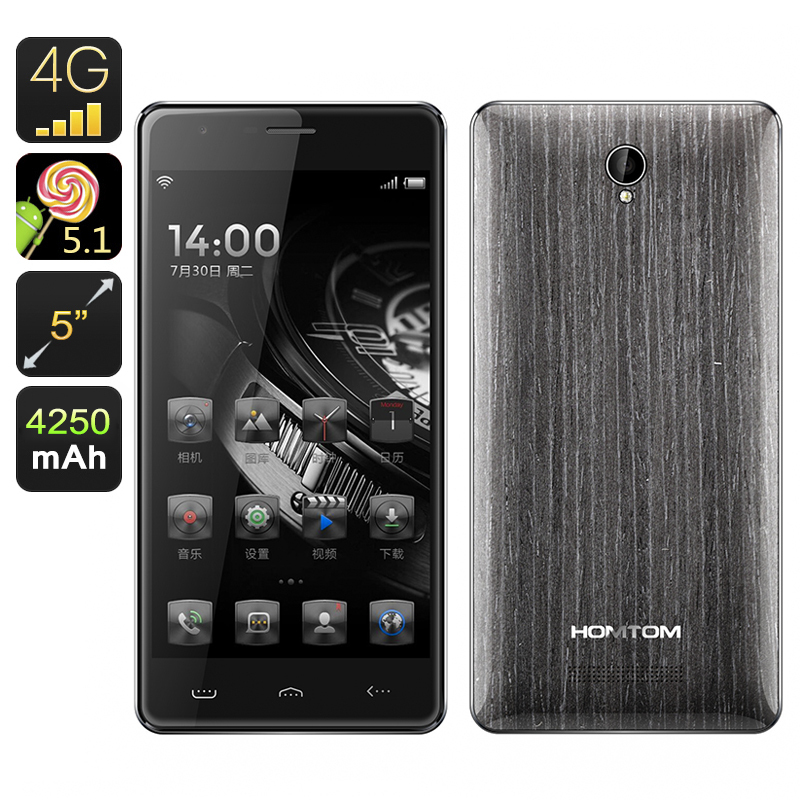 The HOMTOM HT5 come with a gorgeous black apricot wood back cover. The special design makes the phone stand out from most other models available on the market – but that’s, by far, not the only advantage of the device. Featuring a large 5 inch IPS screen with 1280x720 resolution, the smartphone lets you enjoy all your media content in HD. Thanks to IPS technology, you can also get a clear view of your display anytime and at any angle. With Android 5.1, there are no limits to what apps and games you can get from the Play Store. The intuitive interface will make navigating the phone a real pleasure and you will also benefit from a nice set of tweaks the latest OS has to offer. The HOMTOM HT5 let you save lots of time by offering quick access to selected apps right from the locked screen (Smart Wake), easy control of your phone with Smart Gestures and a super quick way to take a screenshot (three finger swipe). The HOMTOM HT5 Smartphone comes with 12 months warranty. Brought to you by the leader in electronic devices as well as wholesale Android smartphones, Chinavasion..